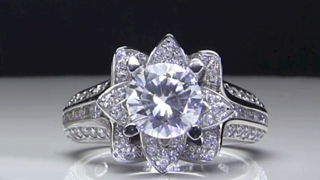 Choosing the right diamond shape for your particular sized finger is the very first place to begin when deciding on what your center diamond for your engagement ring should be. We understand that you may have your personal preferences of likes and dislikes but years of experience have shown us despite your personal preferences some diamond shapes simply don't look good on certain types of fingers. 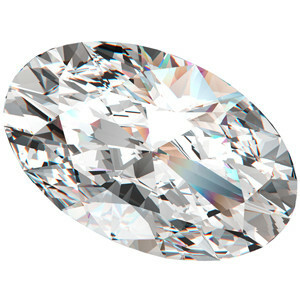 Round brilliant diamonds are the classic of all diamond shapes. They will never go out of style and will always be the most popular of all the diamonds shapes, but should you wear one? 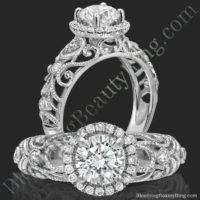 Round diamonds can look good on any finger! 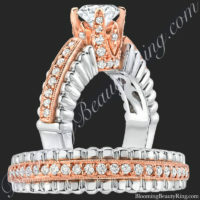 Actually most rings from the most expensive engagement rings, to the very inexpensive / cheap engagement rings are designed for the round cut. Simply because it’s the most popular. There’s only one thing you need to watch out for, and that is the size of the diamond. 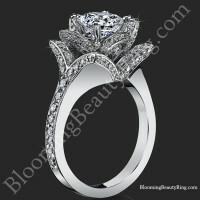 The simplest way to say this, is the diamond should be proportional to the finger it is on. 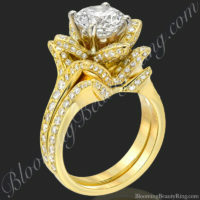 If you put a 4ct round diamond on a tiny, slender finger it will look awkward and out of place. 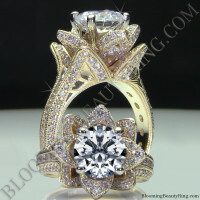 Put that same 4ct diamond on a larger, thicker finger and you’ll obtain balance. So when it comes to round diamonds and you have short, tiny, slender fingers don’t go above 1.5cts if you wish to obtain a perfect look. If you have long, thick fingers try to stay above a 1ct diamond. If you have long slender fingers stay within 1 to 2 cts. Remember we are not talking about the entire ring and it’s surrounding diamonds, we are for this article simply talking about choosing the right diamond shape for the center diamond. 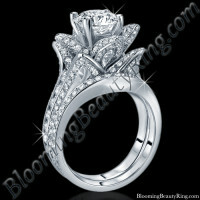 Princess diamonds are eloquent and beautiful, and again can be worn by most people. However the same rules apply as to round diamonds. You need to maintain a steady flow with the ring and finger. The larger and thicker your fingers are the bigger you can go with your diamond. 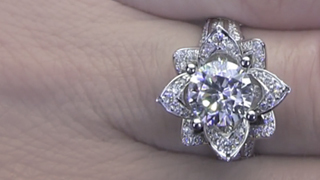 Example: We had a customer who was dead set on getting at least a 3ct princess center diamond. She was app. 5 ft tall and had some of the smallest delicate hands you have ever seen. 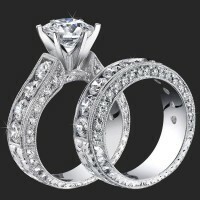 I noticed immediately, but complied with her wishes and let her try on many rings that had a center princess cut of 3ct and higher. Here’s the funny part. With every ring she tried on I kept my disapproval in my head, but her reaction was apparent along with her husband’s reaction as well. She tried on many different rings all with the same conclusion they all looked horribly gaudy on her finger despite the band it was in. 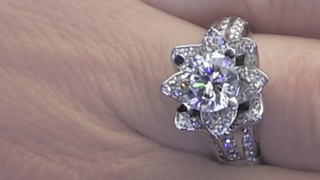 Then she tried on a 1.5 ct diamond and what an incredible difference. It looked like she was wearing a huge diamond but yet very tasteful, very streamlined with her finger, and the flow was magnificent. She ended up buying the 1.5 ct princess diamond ring and has come back several times to get it cleaned and still every bit as happy as the day she bought it. One other thing. If your hands are big, and thick, and I know some girls hate to admit it, you simply won’t look good with anything less than 1ct. 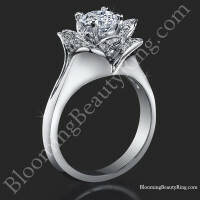 Say you bought a .5ct princess cut, the diamond would seem insignificant on your fingers. 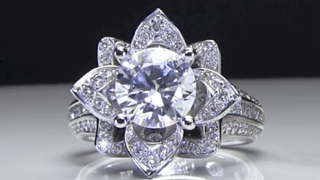 You want people to notice the diamond, but the first thing they will notice is how small it is compared to your finger. Something will be off, and that something is called flow. The Marquise is different story. It’s football shape and streamlined cut only works on a very select kind of finger. Try thinking about a carrot stick with a toothpick sitting on top of it, then think about a toothpick sitting in a piece of celery and you’ll understand why this diamond’s beauty will only look good on a long slender fingers. When you look at the carrot stick you will right away notice the toothpick, however it won’t be to wide or too narrow and will look natural at quick glance or even a long stare. But if you were to look at the piece of celery you wouldn’t even notice the toothpick. The piece of celery is just too wide and drowns the toothpick. 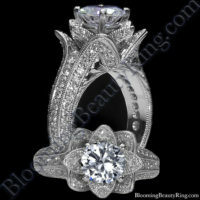 Well the same thing will happen when you put the marquise diamond on a very big, or thick finger. The diamond will look small and be more of an eyesore. 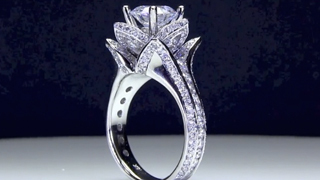 But when you put the marquise diamond on a long slender finger you can just see it should be there. 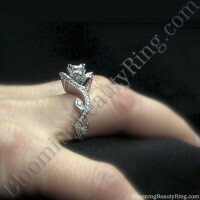 Long slender fingers compliment the marquise and the flow is exquisite. 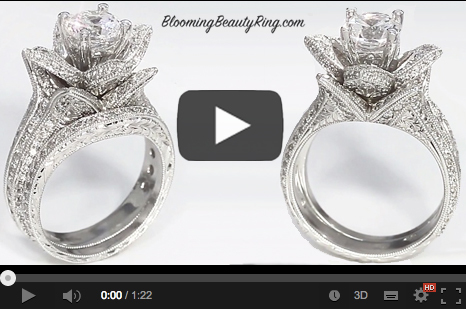 Learn in Depth about Marquise Diamonds. Oval Diamonds are trickier gems. 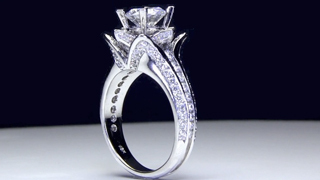 You could say that if you have long slender fingers this diamond will work well for you. But if you do have long slender fingers be careful not to go to wide on this diamond. Stay within a carat or two. 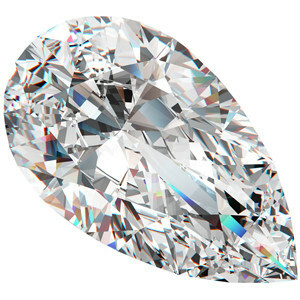 If you have long thick fingers you can really go big with this diamond. It will definitely have a wonderful flow. If you have short slender fingers think small. 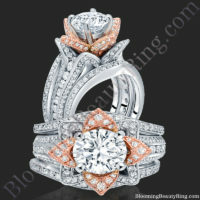 No more than 1 carat otherwise the width of the diamond will overtake your finger and it will look gaudy. 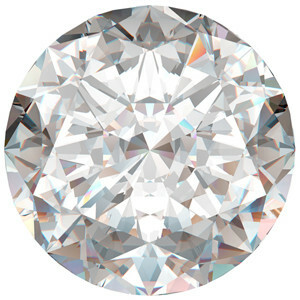 If you have short, thick fingers the oval diamond will look great amazing at higher carats weights, even as low as .75cts. Thick fingers are better since the diamond itself is pretty wide. The combination together will work great. However if you keep the carat weight down I’ve seen this diamond look just as well on long/short slender fingers. Just think tastefully. 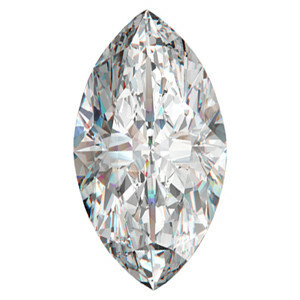 The Pear shaped diamond or otherwise known as the teardrop is actually a combination of the marquise diamond and the oval diamond. What’s fascinating about this combination is that is works for every finger. Again keep with the “flow” theory and make sure you don’t get a diamond so big is looks like a big rock sitting awkwardly out of place. Just keep everything proportional. Choosing the Right Diamond Shape for your Engagement Ring has everything to do with how thick, long, slender, or short your ring finger is. Keep an open mind to the various diamond shapes and how they look. Try them on. 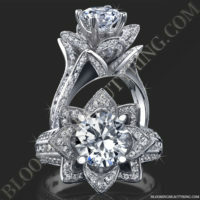 Make sure your diamond and your finger keep with the flow theory. 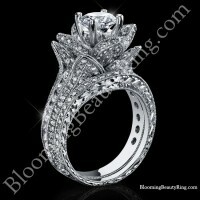 Don’t be pressured into buying a bigger diamond simply because you can afford it. I’ve seen the big diamonds many celebrities are wearing these days..many look absolutely atrocious and they are wearing them for status instead of beauty. 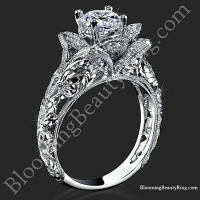 Your engagement ring is all about commitment and love and there is a lot of beauty in those two words. Make sure you diamond says the same thing. 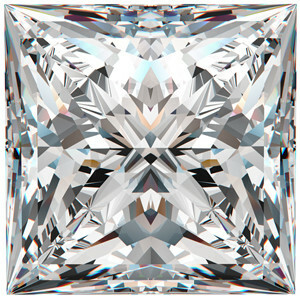 Interested in learning about Cushion Diamonds. 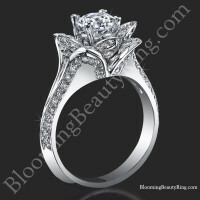 You’ll find this unique diamond shape to be absolutely breathtaking.